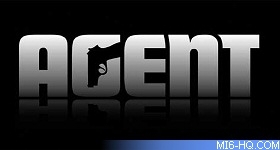 First announced at E3 way back in 2009, Rockstar games - famous for the 'Grand Theft Auto' franchise - have seemingly cancelled 'Agent' on the quiet. It was originally intended to be a PS3 exclusive. Gamefly sent out an email stating "the game has been cancelled by the publisher". Asked about 'Agent' and how it would compare to the Grand Theft Auto series back in 2009, publisher Take-Two's CEO Ben Feder said: "It's a completely different storyline, there is completely different character development. It's a game about espionage, set in the 1970s. GTA is obviously more about an urban experience, a typically rags to riches experience. Very, very different storylines, very different character development. It's going to be very fresh for gamers." The game was in development at Rockstar North, the studio that delivered Grand Theft Auto V.